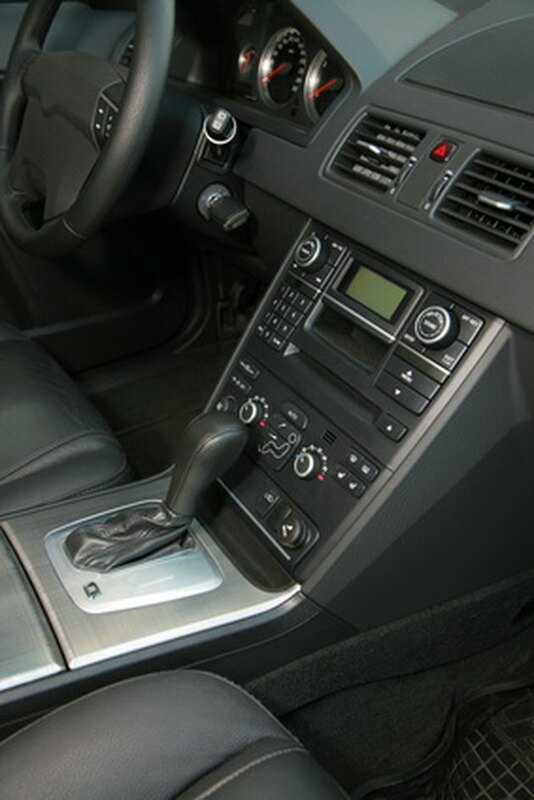 Even minor mold growth can cause a foul odor in your car’s interior. Mold smells similar to sour milk and grows in moist environments–so if you leave your windows open and it rains, you have leak in the door frame or you spill something, mold can grow. Even leaving wet clothing or towels your car can end up causing mold. Get rid of mold with a thorough cleaning and keep your car clean and dry to keep it from returning. Mold grows in moist car interiors. Clean out the interior of your car. Mold can grow on debris or clothing that is left inside. Make sure you throw away all trash, as well as remove soiled or wet clothing. Use a vacuum to clean the inside of the car. Get between the seat cracks as well as under the seat. Although you can use your own vacuum for this purpose, those at your local car wash are industrial strength and will pick up more. Vacuuming helps remove mold spores that are floating around. Pour white distilled vinegar into a new plastic spray bottle. Do not use an old bottle, it may have residue that you do not want to spray in your car. If you prefer not to use vinegar, you can also use one part color-safe bleach to one part water. However, be sure to test a hidden area for colorfastness before spraying the bleach mixture. Otherwise, you may stain your interior. Spray the vinegar directly onto the upholstery, floor mats, interior walls and dashboard. Wipe down hard surfaces with a clean rag. After saturating the upholstery with vinegar, use a scrub brush on the surfaces. Allow all surfaces to dry completely. Leave the doors open or the windows down while the interior dries to avoid excess moisture build up. Seal any leaks in your car. If you have a leaking windshield, window or door frame, this will allow moisture to build up in your car. Mold will grow back quickly if this is the case. Take your car to a professional repair shop to ensure that these seals are done correctly. If you spill something in your car, clean it up immediately to avoid mold growth.